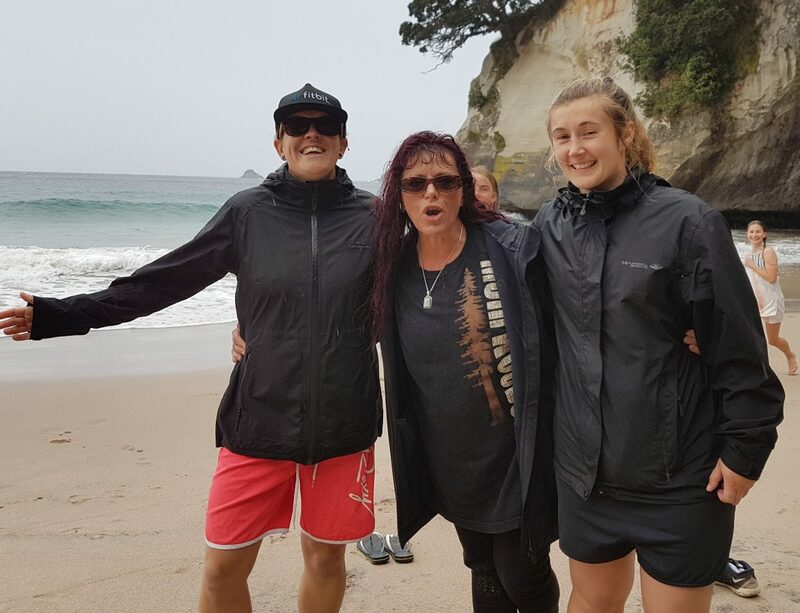 Home | Recent News | Waka Ama Team triumph at Cathedral Cove! 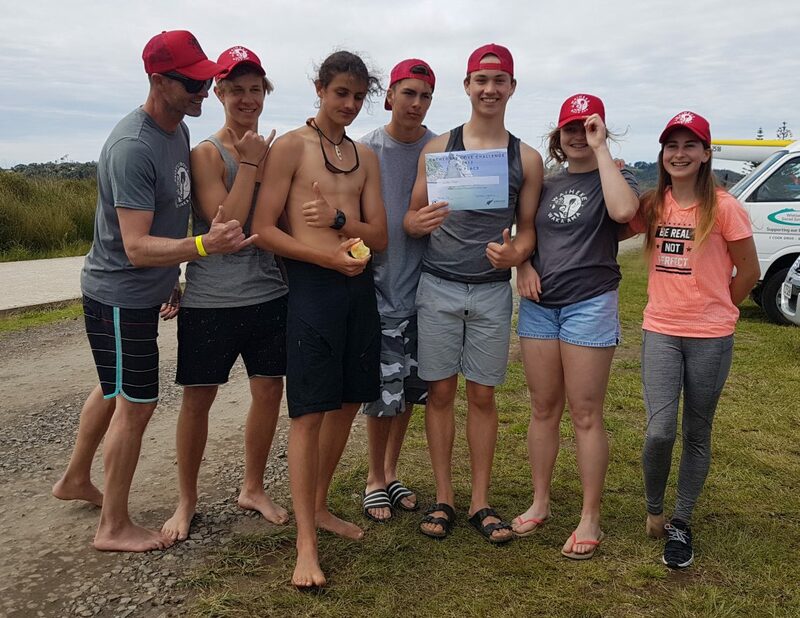 Waka Ama Team triumph at Cathedral Cove! On Sunday, 12 November, our waka ama team took part in the 10km Cathedral Cove Challenge in Whitianga. Students traveled to the Coromandel on Saturday, 11 November, and had a glorious day exploring Whitianga, Cathedral Cove and Hot Water Beach. A wonderful time was had by all. Everyone enjoyed the “fish ‘n chips family dinner” and our movie night. On Sunday we were up early to be ready for race briefing at 9. The Waiheke Island Waka Ama Motu Mix team members, coach extraordinaire (Tony Parker), and experienced mentor, Fraser Munroe were all present to encourage, support and provide last minute tips for the team. Felix Blaha, who was steering the waka, was our “starter” and had to run from the beach to the waiting waka at the sound of the siren. Felix’s dash across the sand set us up for a fantastic start, with captain Beau Coxhead and team members Alice Hailstone, Aurelia Cottett, Arion Harrison-Hughes and Tane Wikaira committing to a hard, strong paddle over the 10km course. Rebecca Cunningham-Rose, who was on a SUP covering the same course, stopped to sen d a text message to team mananger, Mariette Dodd, at the halfway mark to tell the waiting supporters that WHS were “miles ahead”. I suspect that the yells of jubilation could have been heard right across NZ! What a thrill when the team arrived at the finishing line, with Tane tumbling out of the waka and then sprinting to the time keeper to record their fabulous time of one hour and one minute! (At this stage of the race, there was much shouting, jumping for joy, celebrating, and some tears of happiness!). Thank you so very much to Rebecca Rose and Kiera Pennell for looking after the team, driving and navigating, and being so encouraging, and a huge thank you to the Waiheke Waka Ama Club for their ongoing support, mentoring, and guidance. A big shout out has to go to Tony Parker, who has selflessly given so many hours to coach this team. We returned to Auckland on Sunday afternoon, tired, but happy. We are also looking forward to many more great races and exciting trips.